The association has negotiated a group rate of $89.00 per night. Our group code is USK and our group rates are valid for booking through 9/20/2019, so you must book your reservations by that date. Hot breakfast is included in the room rate - served between 6:30am - 11:00am. 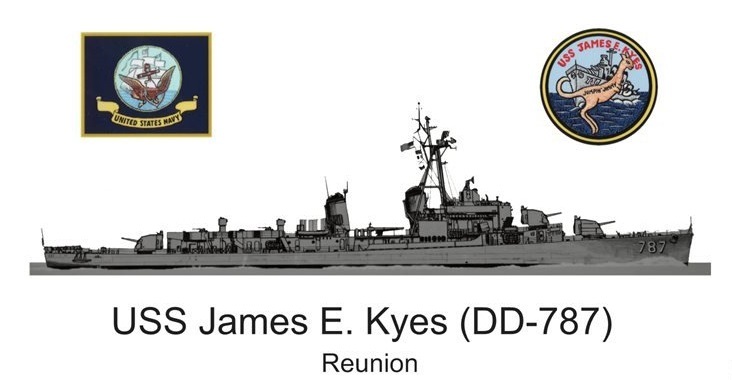 Click here USS James E Kyes Reunion Room Reservations to proceed directly to the reservation desk. The group rate is available for three days pre and post event based on room availability via the provided link or contact hotel reservations directly at Radisson, Branson, MO. Shipmates and guests need to input your arrival and departure dates which need to fall with-in the group contract dates (+/- 3 days) and click "Check Availability" to go to the group's specific rate and availability page. From there you will select a room type that they prefer and input your personal details to complete the reservation (please scroll down to see all available room types). If you have questions about the upcoming reunion, don't hesitate to email or call us. The above committee members were chosen at the last reunion to represent USS JEK shipmates and to choose the next reunion location and dates. They voted and decided that Branson, Missouri would be chosen for it's great support of veterans reunions.